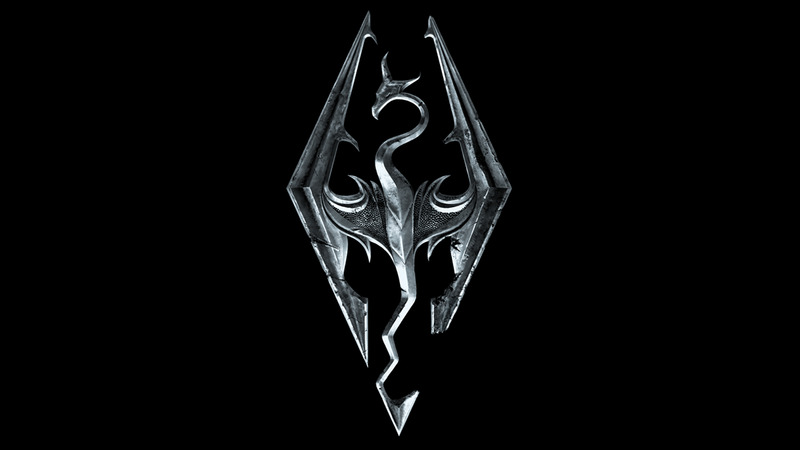 If you are a gamer and you haven’t played The Elder Scrolls V: Skyrim, you are missing out big time, my friend. One of the most detailed gaming worlds ever created, journeying through Skyrim is an endless scroll of adventure— no pun intended with that word use. 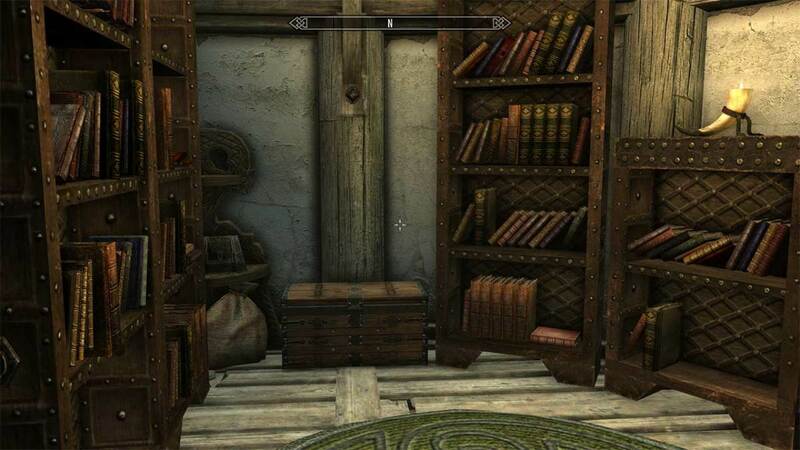 To assist new players with the rich lore behind Skyrim and earlier episodes, creator Bethesda Studios included hundreds of books within the game. Think of these as medieval PDFs acquired through a variety of ways, with content ranging from multi-part historical narrations, to diary entries, to comedic short stories. For me, one of the greatest pleasure of playing Skyrim is to collect these books and read them at a later time when I’m tired of slaying zombies and dragons. Allow me now to share my five favourite Elder Scrolls Skyrim books. I’m sure you can also discern from my selection, the incredible amount of creativity and work Bethesda placed into writing these stories. 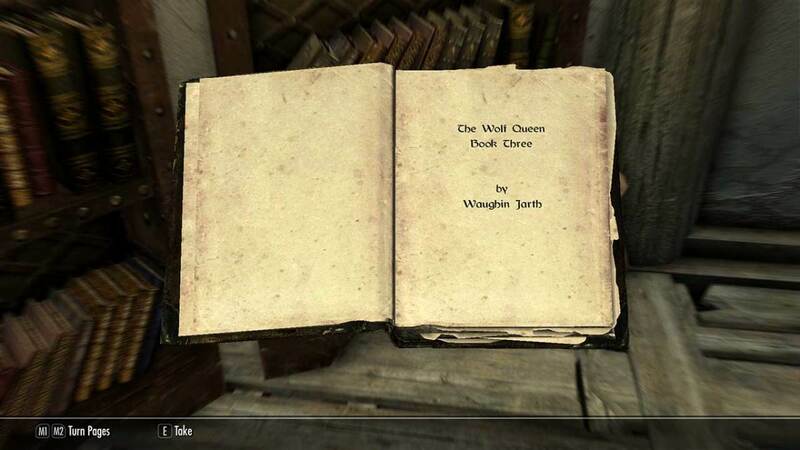 One of the longest stories and spread over eight books, the Wolf Queen is a novella depicting one of the most tumultuous periods of the Septim dynasty of Tamriel. Shakespearean in feel and plot, I was deeply impressed by the strong characterisation of the eponymous lead character, a tragic figure destined for notoriety but never for greatness. 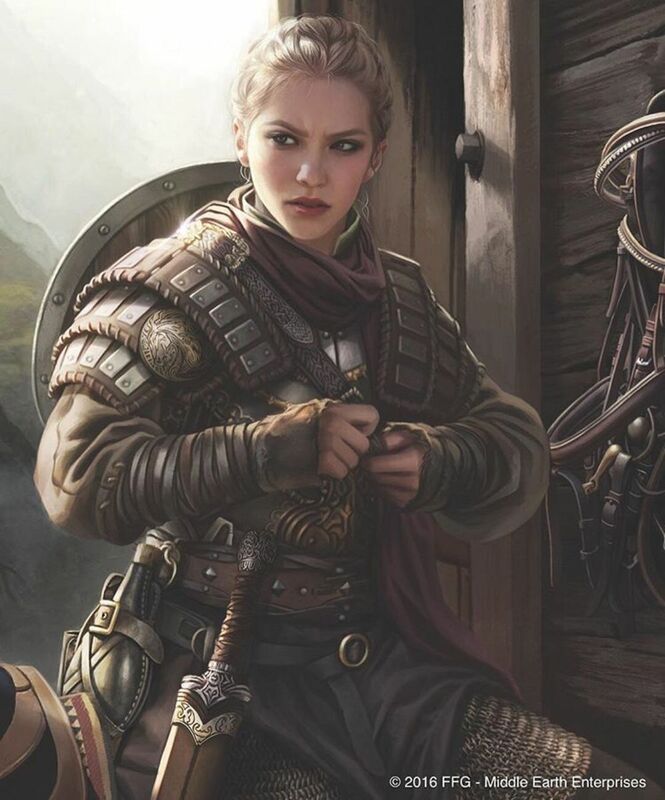 If a live-action movie of the Elder Scrolls is ever made, the Wolf Queen would be a strong contender for the plot. Already, I can think of a few names to play the title role. The Wolf Queen is divided into eight parts. Many gamers have commended this story in online video game forums. Written in the first narrative, it recounts the first job of a bard during his youth. Of all the Skyrim books I have read, I consider the Black Arrow the best written in terms of language and technique. The paced, confident build-up truly pulls one in. You will definitely feel the murderous justice of the black arrow, when it is shot for the final time. Wabbajack is one of the shortest Skyrim Books. Also one of the creepiest. Without giving too much away, let me just say this strongly reminded me of one of Stephen King’s short stories. The nasty one about a doctor marooned on an island. Wabbajack also contains Lovecraftian elements. Lovecraft, of course, acknowledged by King himself as a major source of inspiration. Fans of psychological horror would love this disturbing tale. For the rest of you, try not to read this late in the night. 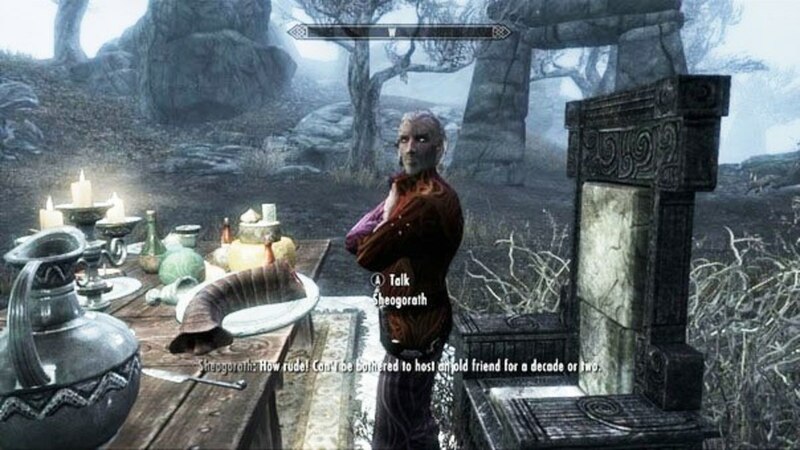 A perennial favourite among Elder Scrolls fans, The Lusty Argonian Maid is written as a script. You can visualise it as one of those naughty, hysterical plays enjoyed by rowdy peasants, while under the summer night and surrounded by copious amounts of mead and ale. The script itself is choked full of innuendoes, but never once overtly vulgar or rude. Too bad there are only two scenes available. Last I checked online, thousands of Elder Scrolls fans are painfully awaiting more scenes to be. I’m included in this lot. The Lusty Argonian Maid is among the most popular Skyrim books. There are even mods for it! The Surfeit of Thieves is short, and truth be told, the twist at the end is not unpredictable. I still love it though for the straightforward prose and the Tales from the Crypt flavour it has. In fact, I could quite easily imagine the Crypt Keeper himself playing a role in this nasty little story. If you are into black comedy, you will definitely enjoy this wicked tale. Where are my Skyrim Books Currently? My personal library in the game. You can enjoy such a facility if you have the Homestead DLC installed. Where to Read The Elder Scrolls V: Skyrim Books? There are three ways to enjoy these Skyrim books. The first is, of course, to buy the game. 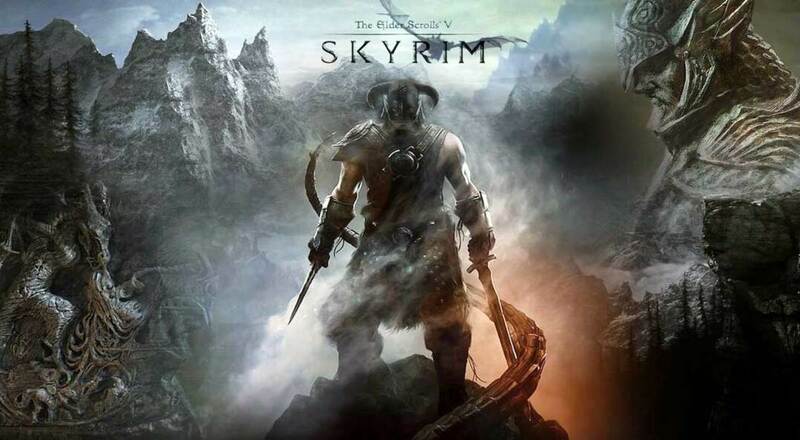 Skyrim, being a few years old now, is available at very good prices for all platforms. Nothing beats reading the lore, then being a part of the world that the stories speak of. 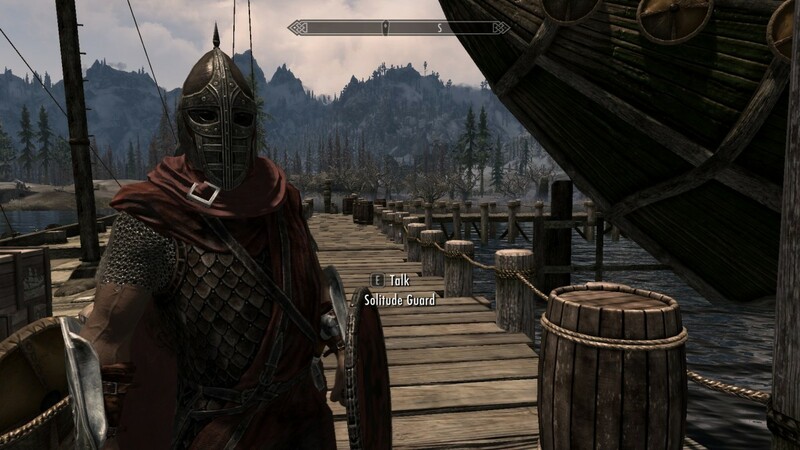 By the way, Skyrim and other Elder Scrolls games have won numerous awards for their graphics and gameplay. You are assured endless hours of entertainment. The second way is to use the wiki. All stories are listed here in full. I have to say, though, that while it is still entertaining to read the stories this way, the experience is somewhat compromised when you do not pair it with actually seeing and journeying through Tamriel. Lastly, if you prefer to read the stories outside of the games, Bethesda has compiled the stories into various hard cover books. These are a little pricey, especially if you wish to own all of them. But I do feel they are worth every cent, if only for their creative worth. They would also be good evidence to show to friends that gaming nowadays is no longer just mindless slashing. Gaming has gone far beyond that. 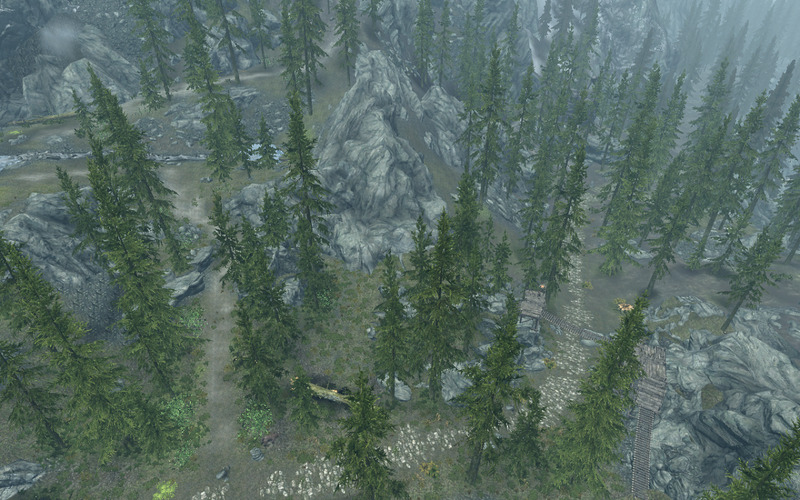 Treasure Map V - Great Skyrim Treasure Hunt - "Elder Scrolls V: Skyrim"